Today two of the men who took part in the racially motivated attack on Stephen Lawrence which led to his death by stabbing have been found guilty. Gary Dobson and David Norris have been found guilty through DNA evidence from modern scientific techniques. This young man lost his life just because a group of thugs wanted to attack someone based on the colour of their skin. Stephen was trying to get home with his friend Duwayne Brooks when they were set up on. Stephen lost his life. He was 18 years old when he died and the conviction of at least two of his murderers has taken 18 years. Britain has always been in denial of its true race relations. Modern events have proven some people still feel this way. Maybe one day we all will be treated as humans equally and not just a colour. 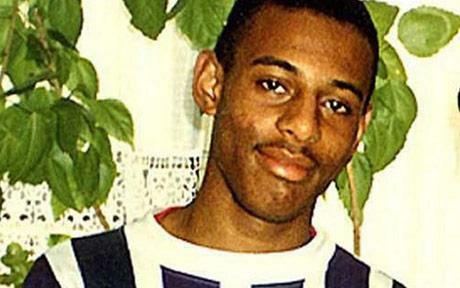 Stephen Lawrence Rest In Peace. I pray the Lawrence family can start to get some closure from these sad events. I am so glad there is finally progress in this story. Heartbreaking.